Anyone who watched "The Sopranos" -- and even those who didn't -- would have a difficult time forgetting that very last scene at the diner, as Tony Soprano (James Gandolfini) and his family gather for a meal, with Journey's "Don't Stop Believin'" setting the tone. It will probably go down as one of the most memorable TV finales in history. 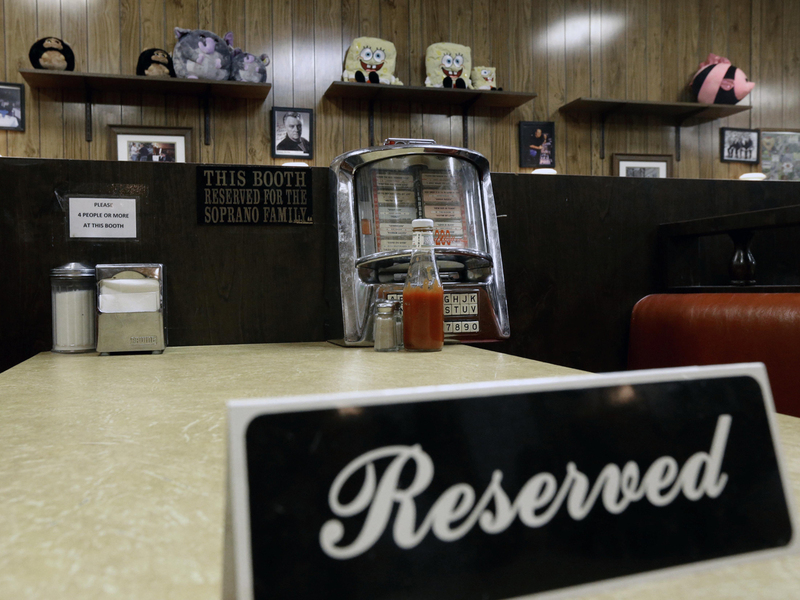 Holsten's Brookdale Confectionery, the real Bloomfield, N.J., ice cream parlor where the finale was shot, paid tribute to the late Gandolfini on Wednesday night, by placing a "Reserved" sign on the table where Tony Soprano sat with his family during the 2007 finale. The restaurant also played "Don't Stop Believin'" as fans gathered to remember the late star. Fred O'Neil, 51, of Montclair, N.J., was at the shop when he found out about the actor's death. "I'm sad he died," he told The Associated Press. "I can't believe it. It makes me think of my own mortality." "He was a great guy when he was here filming and I felt just for the type of person he was we would close the booth off in memory of him," Holsten's owner, Chris Carley, told WCBS-TV. Holsten's is a stop on "The Sopranos" New Jersey tour. Gandolfini died Wednesday while on vacation in Italy. He was 51.